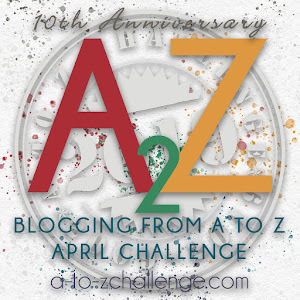 deeply shallow: The #atozchallenge #themereveal: Princesses! Everybody loves princesses. Or at least we’re conditioned to. Beauty and the Beast just released again (well, not in Malaysia) so there’s Belle to think about. And Mulan is in the works, though she’s not quite a princess. But well, Disney princesses. So much love. What you’ll find in this A to Z are 26 princess stories - ranging from the serious to the ridiculous, mundane to the fantastic, the sweet to the annoying. Accompanying these posts will be 26 princess drawings that you can find on ind.elvenstar.net. Because we’re crazy like that. Links go live on the respective days. Such a wide range of princesses! Very interesting! Thanks for dropping by, Michelle. I adore your theme! Look forward to reading your entries. Hah! Love it! :D Love the theme, love the names, can't wait to find out what the stories are! Hahah they are gonna be weirrrrddd. What a fun theme! Looking forward to meeting all the princesses. Wow! Your posts are going to ber fun! I'll check back in! Your post titles are brilliant. They've got me hooked. Looking forward to the stories!